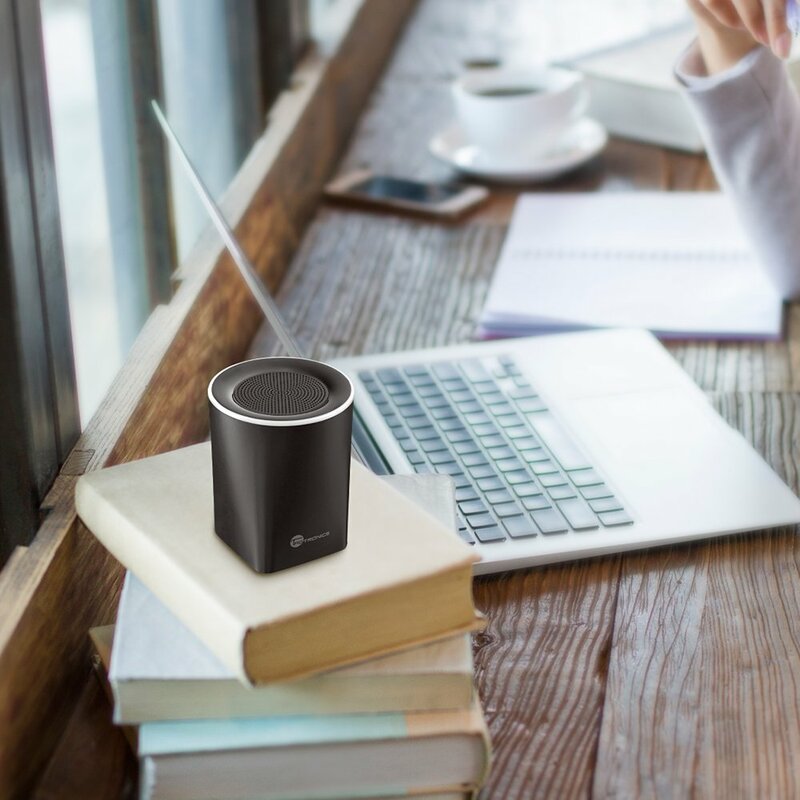 Need a High-Fidelity Bluetooth speaker that is the size of a coffee cup and costs only twice as much as a cappuccino? Taotronics have what you’re looking for! 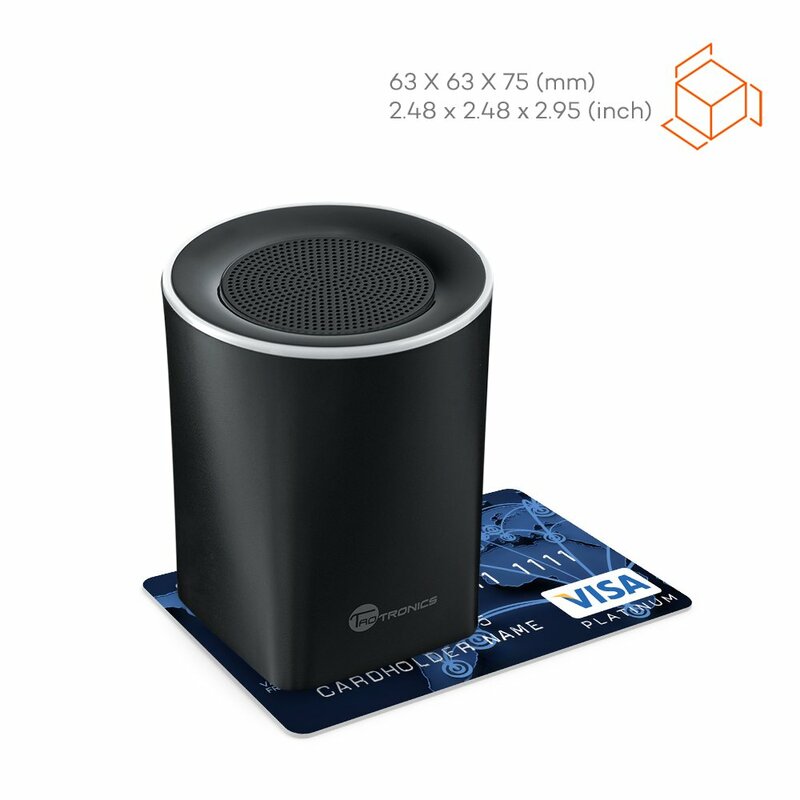 Their latest, small size, small cost Bluetooth speaker packs a punch that I would never have imagined out of device so small. This thing tiny! With a base measuring at 63mm x 63mm thats less than a Visa card! You can nearly throw this thing in your pocket its so small…OK, I might be exaggerating. But it will fit into your car’s cup holder. Apart from the size, the gadget is sleek, smooth and well designed. Let me counter that question. What doesn’t it do? It has Bluetooth 4.0 with A2DP profiling and a 3.5mm AUX jack as input sources. It has a micro USB port for charging and a ‘control wheel’ for answering phone calls, increasing / decreasing the volume and switching tracks. A colour LED ring towards the top shows you the device’s status, be it ‘ready-to-pair’ or ‘paired’. …was a breeze. I plugged it into my USB wall charger to make sure it was fully charged before I started testing. 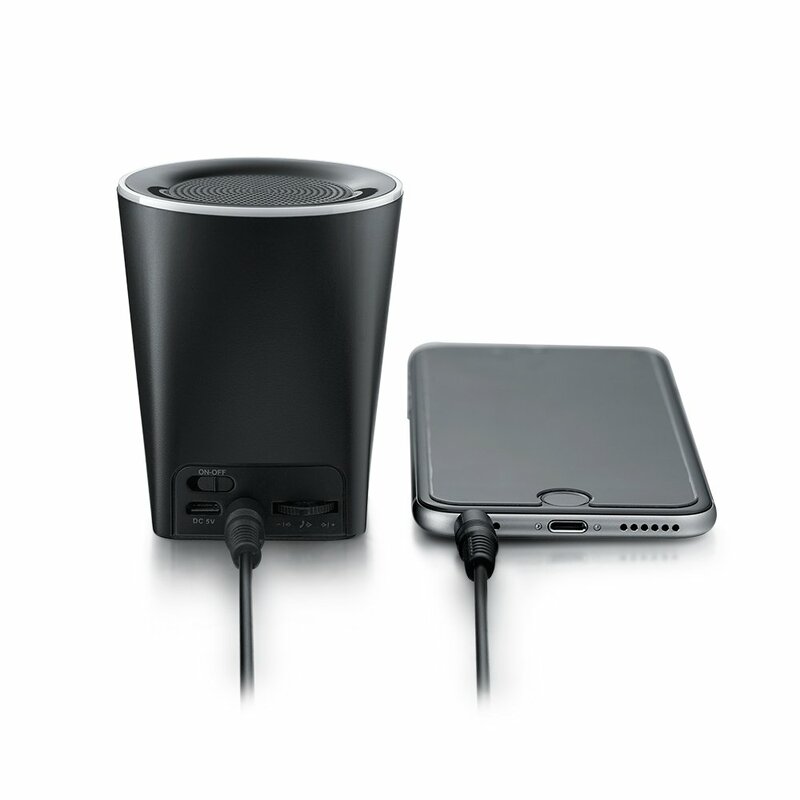 Took about 30 minutes of charge, although it would usually take about 1.5 hours to 2 hours – but this came with some juice in it from the factory. I opened my iPhone’s Bluetooth settings, found the TT-SK05 and paired immediately. The whole process took less than a minute, but keep in mind that my iPhone 4S is dead slow. I fired up the music app and started playing some of my favourite tracks. The sound quality is sharp and loud, though lacking in the bass department, which is to be expected from a speaker so small. The speaker kept on pumping music for well over 5 hours quite impressive for a 500mah battery considering that I kept it on the loudest volume setting. Answering calls was also easy, and the caller had no trouble hearing my voice through the in-built microphone. I keep on including this section for completeness’s sake. I have yet to not recommend a Taotronics products. They are, in general, good, genuine and most importantly well priced devices. If you’re looking for a small and portable Bluetooth speaker then go ahead. It’s worth it!